While presences like RapidAPI, a popular API marketplace and aggregator, are great for comparison-shopping and integrating with APIs spanning many different verticals (social media, geolocation, text analysis, SMS, cognitive services, business processing operations, and more), what they lack is a localized experience that targets developers in countries across the globe. Rakuten, Japan’s largest e-commerce company, recently entered the API economy with a partnership with RapidAPI. Essentially they created a localized instance of the RapidAPI catalog (located at api.rakuten.net/) and framed it for a Japanese audience. The goal is to connect the world’s top notch APIs with Japanese businesses, and then deliver similar experiences to other regions in the Asia Pacific (APAC) region. I recently sat down with Jed Ng, Head of Rakuten RapidAPI, to learn a bit more. While a corporate partnership may seem just like typical “news of the week” to some, this one is an interesting moment to consider the role of API marketplaces as a whole, and how such refactoring layers could be helpful in catapulting the API economy to a seriously global stage. Rakuten RapidAPI’s mission is to be the Developers’ single interface to find, connect to, and consume APIs from all over the world. Having grown from humble roots, in 2017 RapidAPI absorbed Mashape and now has 8000+ APIs and purportedly 500,000 active developer users. Now, the Rakuten + RapidAPI partnership offers a unique window for US, European, and other SaaS services in predominantly English-speaking regions to fine tune their localization efforts to a wider, Asian marketplace. This way, corporate entities and smaller innovative services alike have an opportunity to compete on the same playing field. The API economy has matured quite a bit in recent years. An interesting facet of the Rakuten RapidAPI partnership is that it solidifies the fact that APIs are a universal tool — really, a common language that global B2B can share. A lingua franca that allows software to speak to one another, APIs transcend language and cultural barriers. Speaking from a purely functional viewpoint, there are so many API-driven functionalities, such as an image detection API, that can be implemented in any region regardless of geographical boundaries. Or, if an SMS API offers support to the APAC region, then why not capitalize that market by fine-turning the way developers find and onboard your API? This is what Nexmo has been doing well in the last couple years, expanding their APAC presence, which no doubt has influenced their significant returns of late. Marketplaces like Rakuten RapidAPI enable developer consumers to filter and compare technology providers by type. For example, a developer seeking the top Music APIs will find Last.fm, Spotify, iTunes, and others for side-by-side comparison. With API keys, they can even test behaviors in a sandbox. While such functionality is easily portable, SaaS providers must still convince humans to adopt. Localization is part of the effort toward improving developer experience, framing technical services in a relatable fashion for foreign audiences. For APIs, localization means translating API behaviors, metadata, tutorials, and other resources into other languages. The design and placement of information may also be altered, depending on the tastes of the targeted communities. In the localization of the Rapid API marketplace, Rakuten implemented such rebranding, but they also considered more subtle, cultural nuances. The Rakuten RapidAPI team prioritized a couple hundred APIs, putting their documentation through the wringer of high quality human translation. The rest were auto-translated. Could A Marketplace Middleman Assuage Cultural Nuances? Jed notes there are cultural nuances in the APAC and Japanese business worlds that SaaS providers need to address if they are to enter the market. He acknowledges a more deliberative mindset in Japanese culture, with much risk aversion. There are huge business processing outsourcing and middle markets in Japan, but they tend to prefer enterprise-grade SLAs, proven systems, and a history of success. Compare that to the American market, for example, where Silicon Valley startups demonstrate prowess with catchy ideas and flashy pitch decks; where agility is allowed to supersede business track record. Companies are made with lego bricks, relying on plug and play cloud-based SaaS, while “corporate” isn’t a necessary requirement for consumption. While there is a growing Japanese startup scene, there are still far more corporate entities than startups. Jed jests that those enterprises “don’t adopt technology until a physical book is written about it.” (Too bad for Nordic APIs eBooks). Jed also notes that Japanese developers are “more accustomed to having instruction rather than experimentation.” That’s why they’ve catered the Rakuten RapidAPI page accordingly. For community building in Japan, they’ve also formed the All About APIs Meetup group. Another barrier is the API economy can be fickle, possibly decreasing foreign trust. In his Nordic APIs presentation, Adam Duvander notes how Tesco API is the only API to have ever publicly guarantee operational service for 2 years. Unreliable APIs have been the norm, with public API endpoint deprecations a common case study. Thankfully, the API economy has matured. There are many new breeds of businesses supporting APIs, like management, monitoring, testing, security, and others, backing the most extensive API SaaS services to keep the systems afloat and working as promised. With a solid foundation, the API market is set to expand into new global regions and meet the expectations of other cultural expectations in foreign business transactions. The Rakuten RapidAPI partnership is just one out of many initiatives setting pace for industry expansion. 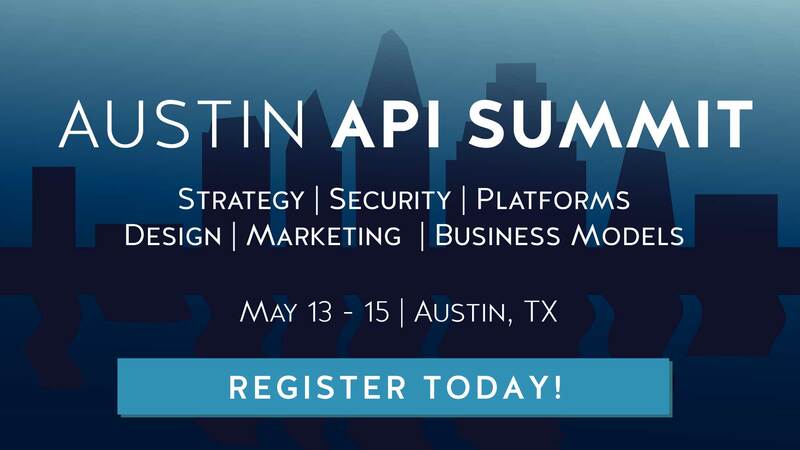 As the role of API Product Manager rises within enterprises, many are naturally considering new ways to treat their web API program as a product. With productization in mind, fine-tuning the discovery process is a natural first step. Improving the API knowledge gathering process can streamline adoption if done correctly. Word of mouth, SEO ranking, and evangelism can surely extend the reach of a platform, but marketplaces and directories extend a permanent reach into new networks. Who knows what the exact ROI is, but with little overhead they are certainly worth trying. Where are API marketplaces heading? For one, marketplaces like Rakuten RapidAPI could be heading toward more niche, personalized experiences that are catered around specific technology subsets. Another direction is increased localization into other Asian regions and languages outside of Japan. The takeaway for positioning an API for growth, then, is to understand your target developer persona, and consider methods to increase global market penetration for your tech! While the Rakuten + RapidAPI partnership may seem like another corporate headline of the week, Jed told Nordic APIs that “we decided to co-brand because we believe in this.” The team seems dedicated and excited to deliver on their promise. As developer experience is cited again and again as being a catalyst for API growth, providers should use everything in their power to cater their services to developer consumer needs. An API marketplace could aid that goal, bringing other potential benefits like streamlining monetization and bookkeeping, and standardizing developer portals and testing sandboxes. Time will tell how API providers benefit from marketplaces, and how they navigate various policy concerns (such as GDPR) in the process. Also, the self-serve model attracts the indie developer/lead developer role quite well, but it doesn’t fit the enterprise exactly. As Nordic APIs is a international brand, with writers and readers in all parts of the earth, we have seen the API economy expand and merge in a truly global fashion. Due to language barriers and cultural constraints, regions like APAC and South America have historically been distant territory. However, with remote working becoming a norm, geographical separation is a dimishinishing concern, and partnerships like Rakuten RapidAPI are an interesting example of what’s to come. It could usher significant growth for the economy as a whole, giving legitimacy to startups, and providing more corporate firepower to the RapidAPI arsenal. Neither Rakuten or RapidAPI sponsored this post! We just felt it was an interesting thing to cover.